Editor’s note: This article has been updated to reflect Attom Data Solutions’ recalculation of U.S. home loan originations in Q2 2018. 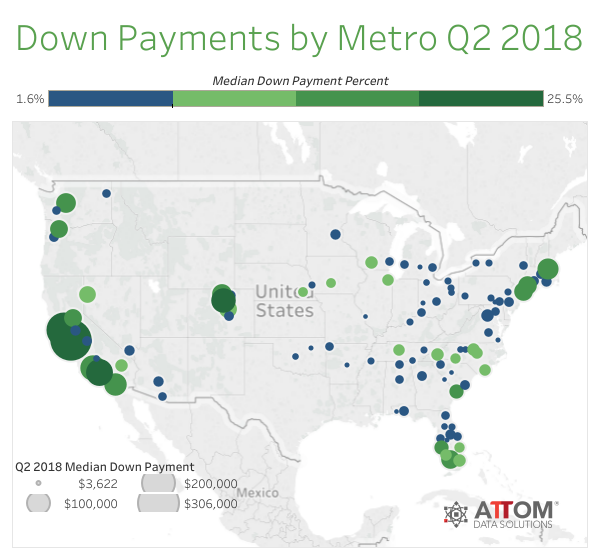 Weakening mortgage demand caused by rising mortgage rates has slowed refinance loan originations to its lowest level since Q1 2014, according to Attom Data Solutions latest report. In Q2 2018, refinance loans decreased 1 percent quarter-over-quarter and 2 percent year-over-year to 799,093. Meanwhile, the number of purchase loans jumped 39 percent since Q1 2018, and less than 1 percent from Q2 2017 to 926,516. Lastly, Home Equity Lines of Credit (HELOCs) increased 4 percent quarter-over-quarter and 2 percent year-over-year to 361,845. Only New York, NY (+17 percent); Dallas-Fort Worth, TX (+15 percent); Houston, TX (+69 percent); Miami, Fla. (+31 percent); and Boston, Mass. (+23 percent) experienced year-over-year loan origination increases among the 173 metropolitan statistical areas analyzed in the report. “Rising mortgage rates are continuing to cool demand for refinance originations, which were down to their lowest level since 2014 — the last time we saw more than six consecutive months with average 30-year fixed mortgage rates above 4 percent,” said Attom Data Solutions Senior Vice President Daren Blomquist in a statement. The median down payment on single-family homes and condos purchased with financing hit a new record high at $19,900 — up 19 percent from $16,750 in Q1 2018 and up 18 percent from $16,925 in Q2 2017. Furthermore, the median down payment was 7.6 percent of median sales price, a 15-year high. Of the 103 metropolitan statistical areas in the report, San Jose, California ($306,000); San Francisco, California ($220,000); Los Angeles, California ($130,000); Oxnard-Thousand Oaks-Ventura, California ($115,400), and Boulder, Colorado ($107,750), had the highest median down payments. San Diego, California ($90,400); Boston, Massachusetts ($79,925); Seattle, Washington ($70,100); Fort Collins, Colorado ($68,050); Bridgeport, Connecticut ($63,550); New York, New York ($62,108); and Naples, Florida ($60,000), all had median down payments over the $60,000 mark. Nationally, 17.6 percent of all single-family home sales involved co-buyers (multiple, non-married buyers listed on the sales deed), a 0.2 percentage point increase from Q1 2018. 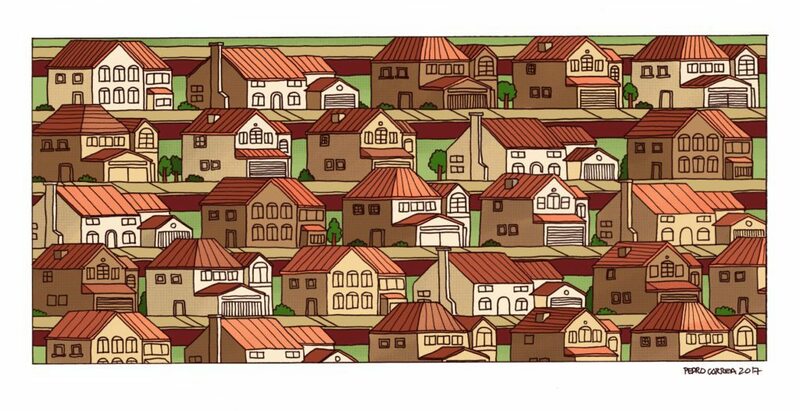 Co-buyers were able to offer a median down payment $63,117 for a single-family home, which represented 16.3 percent of the median sales price. Meanwhile, other homebuyers offered $41,749, which represented only 8.1 percent of the median sales price. The high-priced markets of San Jose, California (49.3 percent); San Francisco, California (39.1 percent); Honolulu, Hawaii (31.8 percent); Seattle, Washington (29.5 percent); and Miami, Florida (29.1 percent), had the highest level of co-buyers. Lastly, the report revealed that buyers are turning away from using Federal Housing Administration and U.S. Department of Veterans Affairs-backed loans. In Q2, the percentage of FHA-backed residential loans dropped a 0.7 percent quarter-over-quarter and 3.3 percent year-over-year to 10.2 percent — a 10-year low. The percentage of VA-backed residential loans took a hit too, declining 0.7 percent quarter-over-quarter and 0.9 percent year-over-year to 5.5 percent.